Here's how family child care differs from in-center day care, as well as nine things to look for when you're choosing a family child care program. If hiring a nanny or enrolling in a day care center isn't right for your child, family child care may be the perfect fit. It's a day care operated out of an owner's home. Parents choose family child care for a variety of reasons. It's usually the least expensive form of child care. It offers a home-like setting, rather than a center one. Family child programs usually offer a mixed age group, with a collection of infants, toddlers and preschoolers, so it's more like a family than a classroom -- this diversity can be a great learning environment for kids of all ages. Although there are some differences, this option shares many characteristics with a traditional day care center. Here are helpful tips from Patricia Dischler, president of the National Association for Family Child Care (NAFCC) and author of "From Babysitter to Business Owner," Lynn Gibson, president of the Florida Family Child Care Home Association and owner of a family child care for about thirty years, and Carolyn Stolov, family life expert at Care.com, on the nine things to look for in this type of service. And if you think a family child care program is right for you, find one on Care.com. "You want to be comfortable with the person watching your child," comments Stolov. She suggests that you "change up your schedule and show up at different times of day unannounced, so you can see what's happening and make sure everything is safe." When it comes to licensing for family day care, the rules are a little tricky. Some states use the term "licensed," while others say "certified." Certain states are very thorough and have many standards for family child care providers and other states only include very basic safety standards. 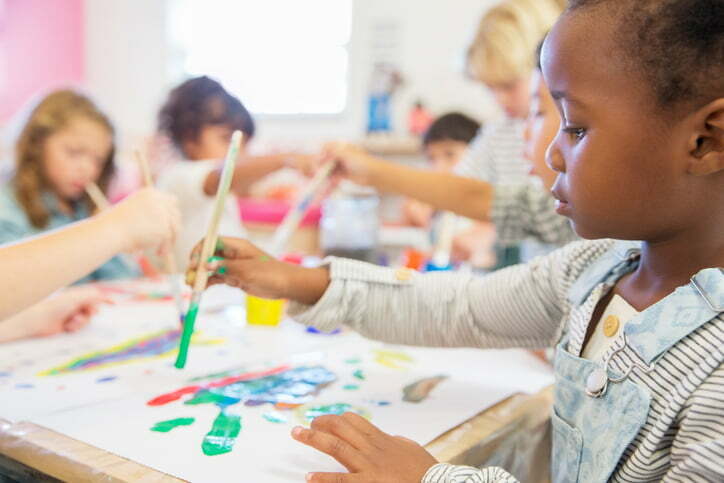 Figure out the laws in your area by checking out this helpful state-by-state guide to day care licensing and regulation information from the National Resource Center for Health and Safety in Child Care and Early Education. "Parents should always look for providers who meet the regulations for their state," reminds Dischler. "Also ask the provider who will be visiting the home during the day, as well as who lives in the home," says Stolov. "Be sure that everyone in the home is background checked. No one should have contact with children unless it has been approved through the licensing department." "You have to feel comfortable bringing up issues and talking with the provider," says Stolov. She suggests spending a day or a few hours at the home before your child attends. "See what a typical day looks like and how the provider handles behavior challenges and other things that come up when caring for young children. When checking references, ask the reference if they ever had to bring up a difficult issue with the provider and ask how the provider handled it. You want to find a provider that is flexible and open to partnering with you on the best way to care for your child." Dischler believes these are the most important things that show parents they have found a great family child care home. "Providers who care for children in their home do more than set up an environment for children to learn, they create an environment for families to thrive," she says. Above all, Gibson recommends that you: "Look for someone who can look you in the eye and show you that they can offer you a great place for your child in a safe and clean environment with happy children." A great family child care provider will become a member of your family, helping raise your child in a loving manner to be kind, courteous, helpful, honest and respectful.